Lots of little lessons are interspersed throughout “Smurfs: The Lost Village,” but the film itself is an example that even the big, powerful, well-paid grown-ups who run movie studios can learn a thing or two. If you endured the two previous “Smurfs” movies — which cloyingly mixed live actors with CGI Smurfs — you’ll notice the many ways in which “The Lost Village” marks a vast improvement. This time around, the Smurfs don’t invade our world and have wacky misunderstandings; stars like Neil Patrick Harris and Sofia Vergara don’t have to embarrass themselves with big, broad performances; there’s almost no sniggering innuendo humor of the “Ow, my smurf berries!” variety; there’s almost no use of “smurf” as a fill-in for any noun, verb or adjective; and best of all, they don’t play that irritating earworm of a theme song throughout. This time around, Smurfette (voiced by Demi Lovato) finds herself questioning her purpose in life; after all, she’s surrounded by fellow beings whose names — Vanity Smurf, Jokey Smurf, Paranoid Smurf, Table-Eating Smurf — tell you everything you need to know about them. But what the heck is an “ette”? As she grapples with her identity, Smurfette finds a beige Smurf hat — she and her neighbors all wear white — that sets her off on a quest to find the other Smurfs out there. She’s accompanied by the ever-inventive Brainy (Danny Pudi), the brawny Hefty (Joe Manganiello) and the hapless Clumsy (Jack McBrayer). Naturally, since the potential capture of Smurfs is involved, dorky wizard Gargamel (Rainn Wilson) follows along. 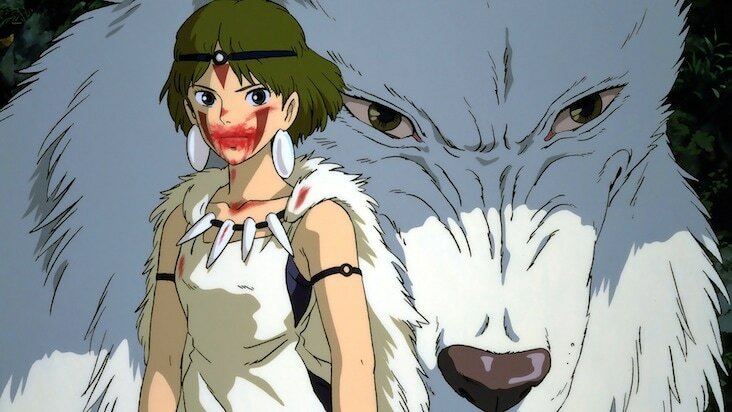 The Lost Village gets found, of course, and its inhabitants turn out to be quite similar and yet significantly different: they’re all female. Smurfette finds a sisterhood, Papa Smurf (Mandy Patinkin) meets his matriarchal counterpart Smurfwillow (Julia Roberts), and these discoveries will mean nothing if they can’t figure out a way to save themselves from Gargamel’s schemes to make himself more powerful by draining Smurfs of their magic. The voice cast manages to avoid being too cutesy with the material; McBrayer makes a perfect match for Clumsy’s good-natured ineptitude, and Wilson avoids the weirdly anti-Semitic undertone that some previous performers have brought to Gargamel. In the final wash, this is still a Smurfs movie, and if their brand of sweetness wasn’t to your taste before, you may not change your mind. 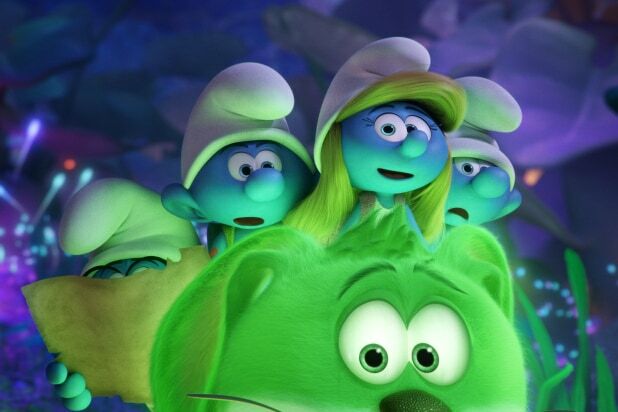 But if for nothing else, “Smurfs: The Lost Village” deserves praise for liberating Smurfette from being “the girl Smurf”; not only is she no longer the only one, but that description finally gets laid out as meaningless, since the inhabitants of the Lost Village are as varied and as capable as their dude counterparts. Smurfette gets to do whatever the boys do, even if she hangs on to those tiny little high heels.